A member of UW’s back-to-back Mountain States Conference Champion Teams in 1949 and 1950, Hewgley played both defensive tackle and offensive guard for the Cowboys. He was credited as a key blocker for Wyoming’s all-time great running back Eddie Talboom. 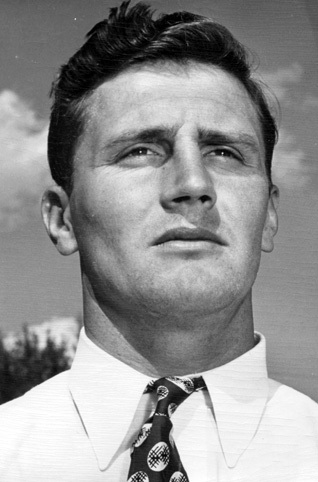 Hewgley earned second team AP All America honors in 1950 along with first-team All-Conference recognition. Wyoming had a record of 9-1 in 1949 and 10-0 in 1950, including a win in the Gator Bowl. Hewgley later returned to his alma mater to coach the offensive line.